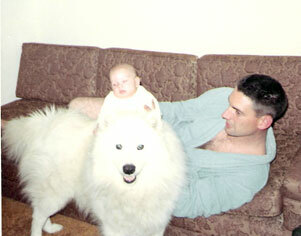 Sam was Jane and Alan’s very first Samoyed. 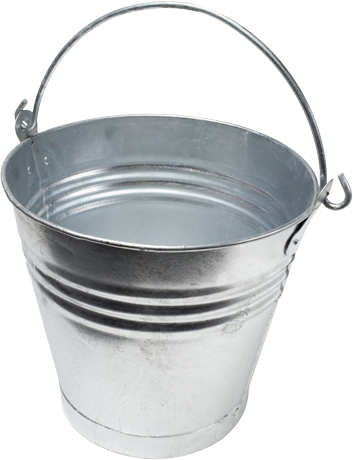 What an original name! He was found out of the newspaper. Lucky for us, he turned into a very nice quality dog. Jane and Alan took him to Barbara Burns who was a Poodle breeder to see what she thought of his conformation and between her and her groomer they decided that he was worth showing. Jane and Alan ran into Bob and Dolly Ward in a parking lot and Bob immediately started asking them questions about lineage, etc. That is how they met the Ward’s and were encouraged by them to show the dog. Back in the day when there were literally 1000 dogs at a puppy match, Sam went to his first one and went Best In Match! Jane started out showing him and was using cheese for bait. She used to stack him by his rough and what she didn’t realize is that his neck was turning orange! The judge called him a cheesehead, put him up for Best Of Breed and said it wasn’t because of the handling. That is when Alan took over the handling of the dogs. Ironically, Sam’s very first AKC show was San Fernando Kennel Club which Jane and Alan eventually became members of in 1968. 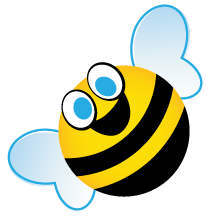 Heather eventually joined the club as well, in 2007. 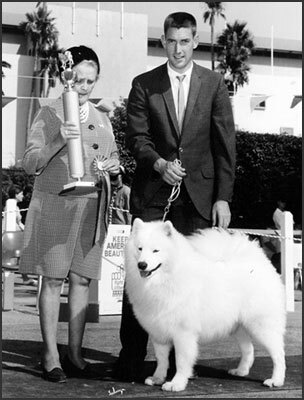 Sam then went on to win the very first Samoyed Club Of Los Angeles Specialty going Best In Specialty Show. He was also the only dog we know of that has gone Best In Show and High In Trial on the same day. 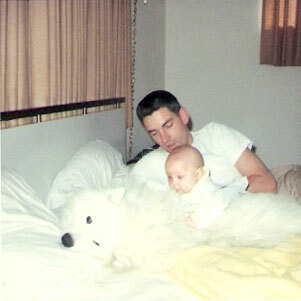 He retired after the Specialty because their son, Todd was born the very next day and life with babies took over. 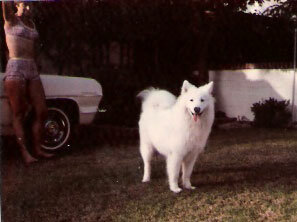 He was bred to Kathy and Leon Ward’s girl, “Atka”. 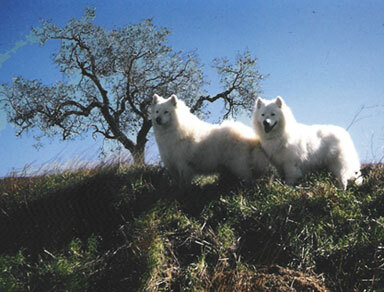 He was bred to our girl, Joli that produced our second girl, Troika. 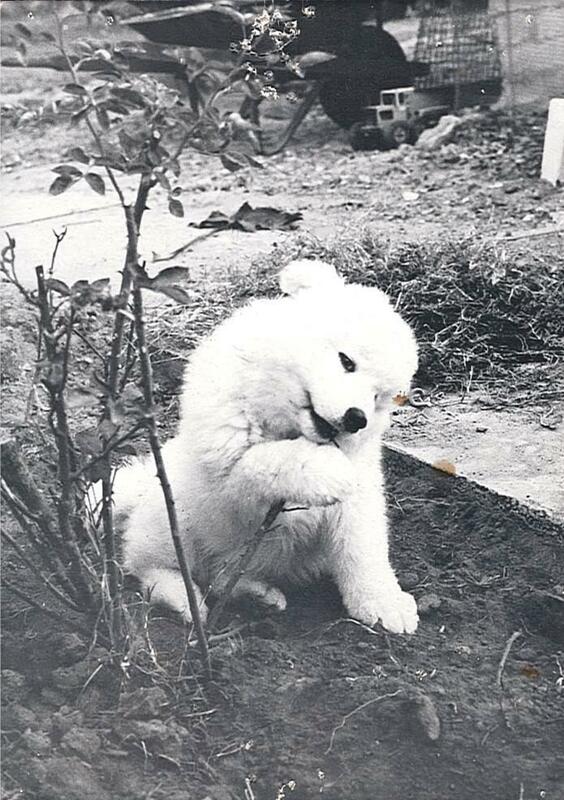 Out of that litter was also a boy named “Boozer” that Kathy and Leon Ward kept. 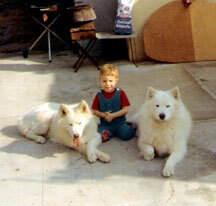 Those were our first ties with dogs together back in 1968. Sam and his son Boozer are featured on a Kodak puzzle box.